As we prepare to wrap up the last workday of 2015 here at HQ, we’d like to take a minute to wish each and every one of you a prosperous and joyful new year! 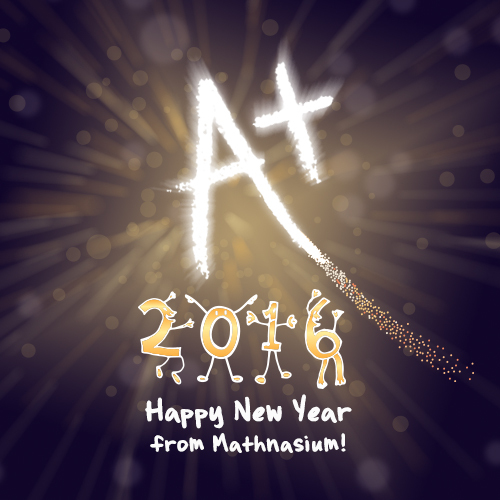 2015 was a huge growth year for Mathnasium, and we thank you all for sharing the journey with us. We can’t wait to see what 2016 has in store! 1 user comments for " Happy New Year! " Best wishes for happy, healthy and prosperous New Year to everyone at HQ! Looking forward to 2016 while reflecting fondly on 2015!